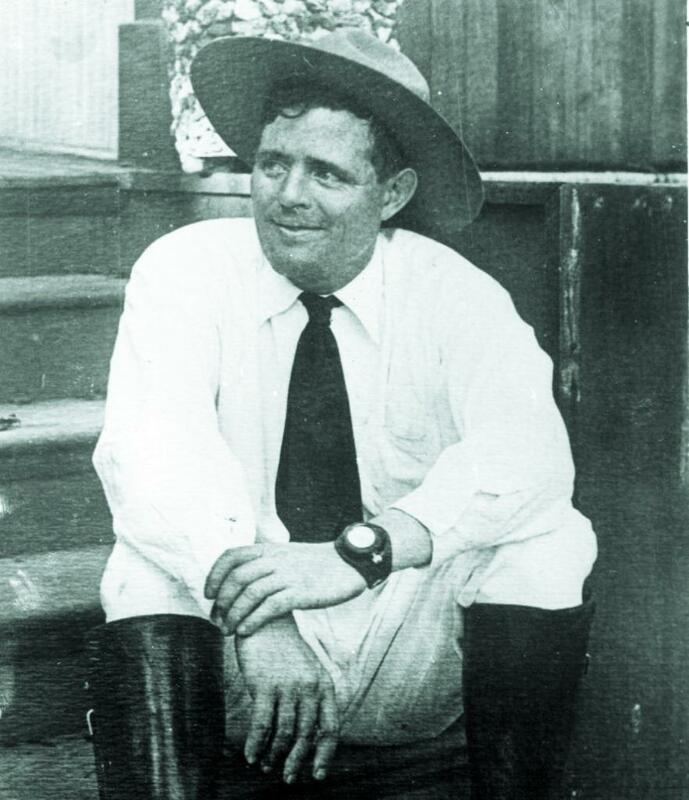 Jack London in his adventuring outfit. 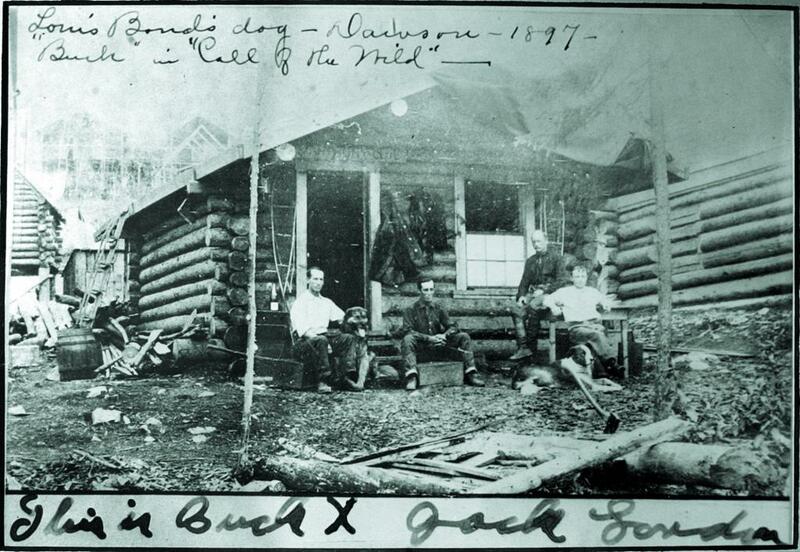 In an 1897 photo, the dog Jack, immortalized by London as Buck in the book “The Call of the Wild,” is patted by Marshall Bond at the Dawson City cabin Bond and his brother, Louis, shared in the Canadian Yukon. PC: An 1904 book plate from Jack London's Call of the Wild is on display at the Sonoma State's Schulz information center. 9/30/2003: D1: A 1904 bookplate from Jack London's ``Call of the Wild'' at SSU's Schulz Information Center. The author was fond of sitting in the shade of a large oak tree that still looms over London Cottage. Photo by Connor Jay. 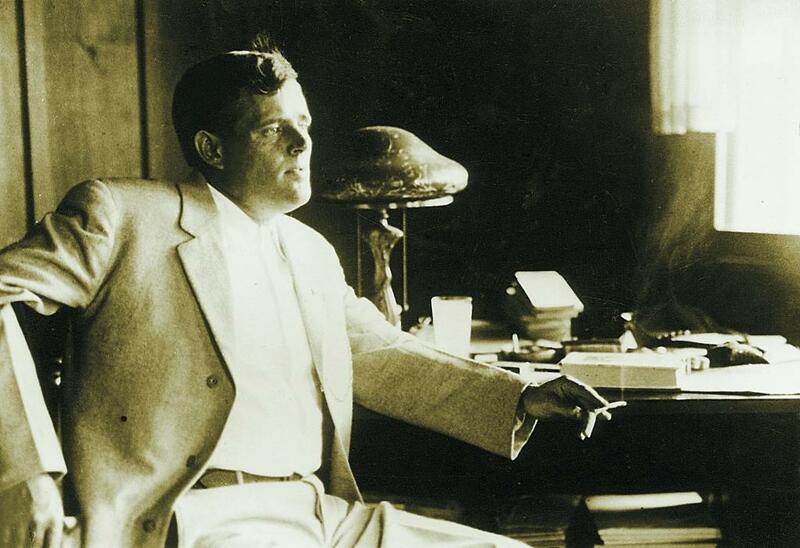 Jack London photographed in 1916, shortly before his death. 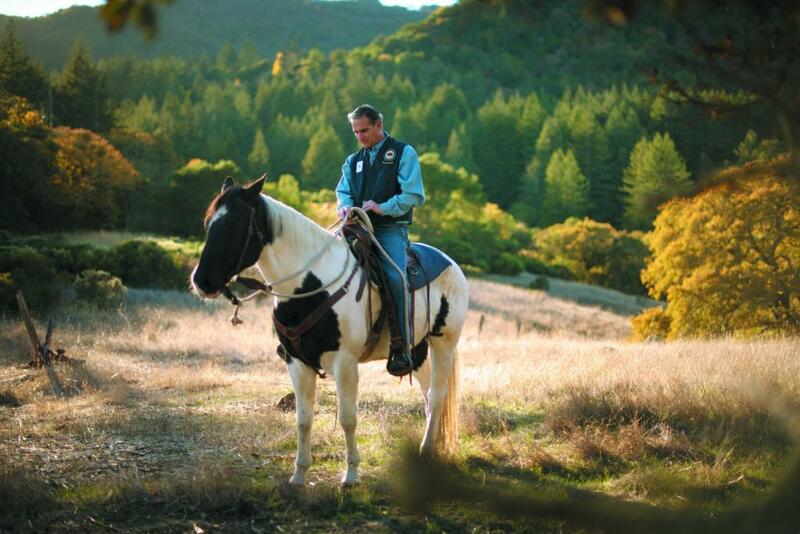 Chuck Levine rides his horse Buzz during his volunteer patrol at Jack London State Historic Park in Glen Ellen. Photo by Erik Castro. The House of Happy Walls where the Londons lived is now a museum. Photos by Erik Castro. 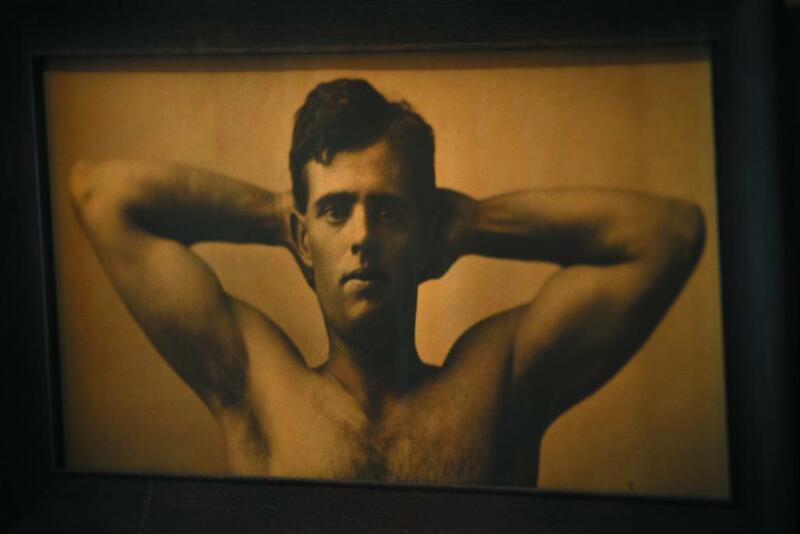 A photo portrait of a young Jack London hangs in a small room on the second floor of the House of Happy Walls museum at Jack London State Historic Park. The road near the entrance to Jack London state park. Brian Shepard, a descendant of Jack London, helps oversee vineyards on the Shepard property that adjoins what is now the London state park. 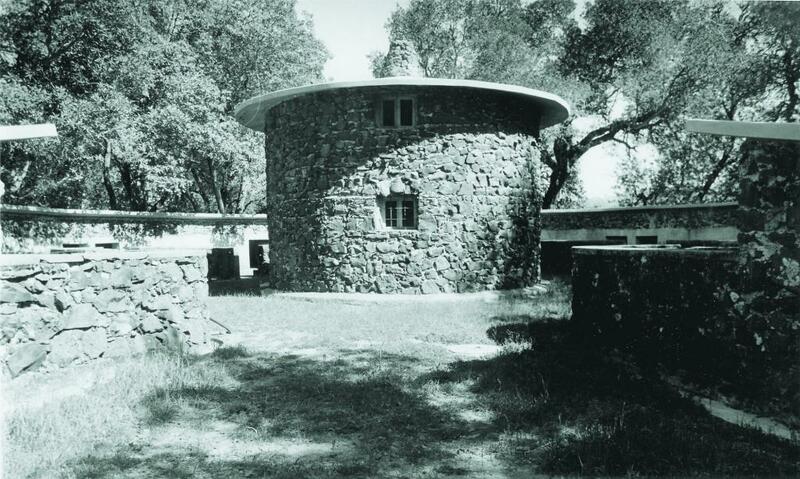 The stone piggery known as the Pig Palace on Jack London’s Beauty Ranch. 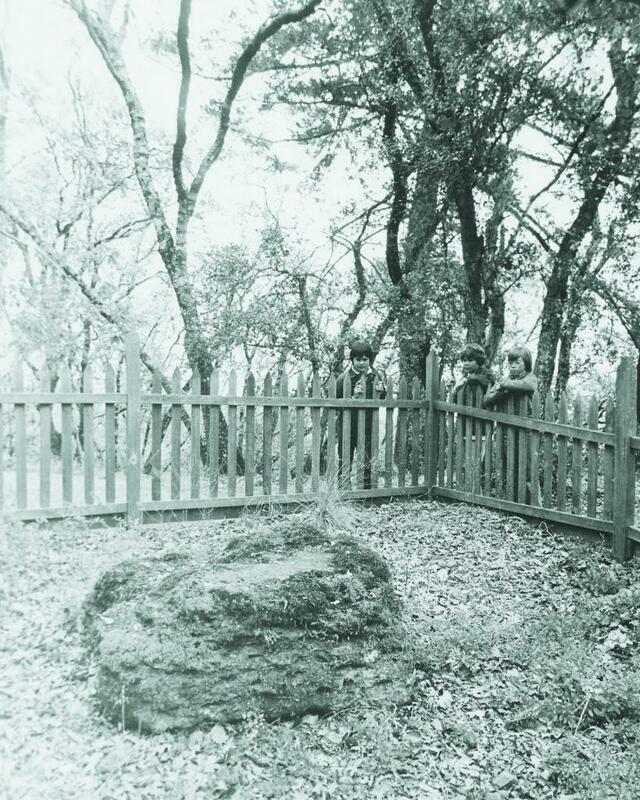 Jack London’s grave in the park is marked by a large rock. London on horseback looking out over the Valley of the Moon. 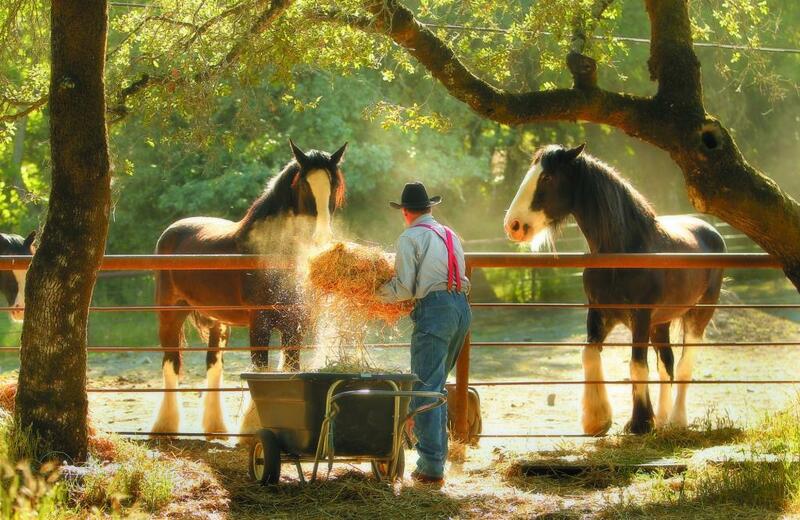 Neil Shepard feeds his Clydesdale horses in Glen Ellen. 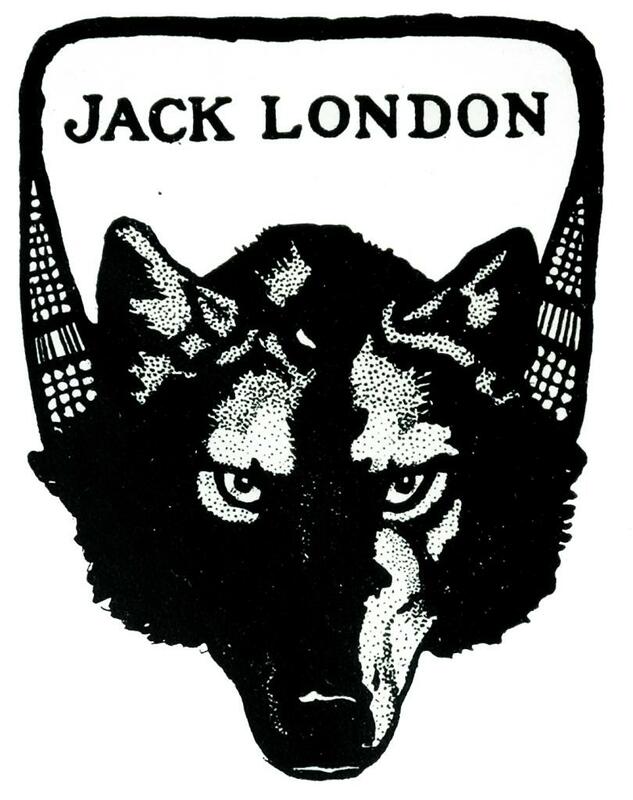 Jack London was Shepard’s great-great uncle; he has lived in homes on various parts of what was London’s Beauty Ranch his entire life. The couple enjoy a sunny day at their Beauty Ranch, a portion of which became the state park. 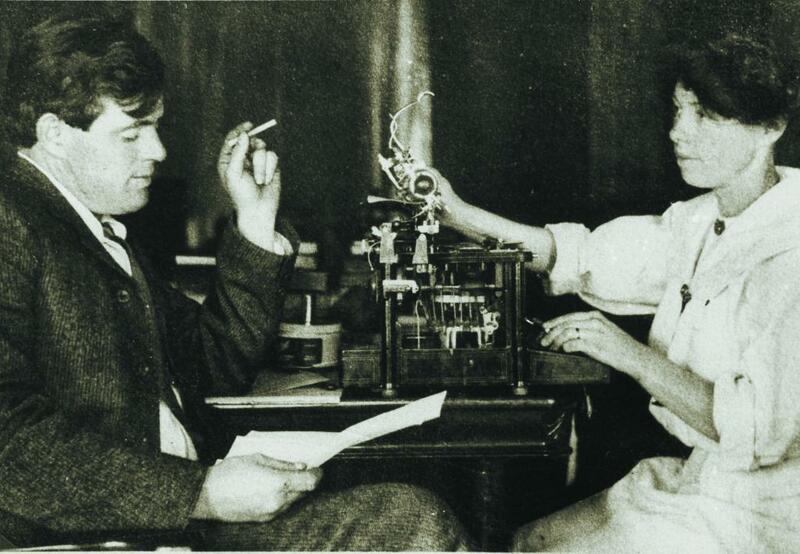 Jack and Charmian London worked as a team during their 13-year marriage. 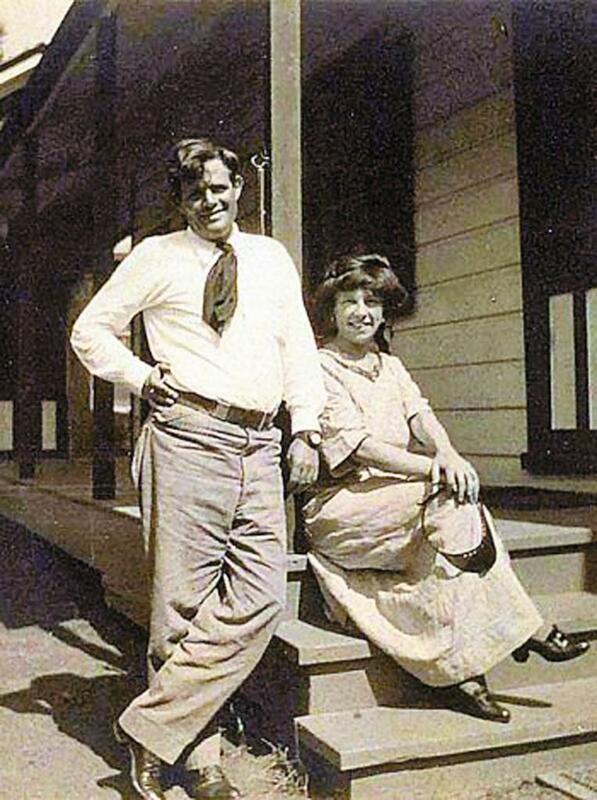 She spent just 13 years with Jack London, yet the wife of one of America’s most beloved writers, bravest adventurers, earliest environmentalists and infatuated lover of Sonoma Valley, devoted nearly 40 years, until her death in 1955, to protecting and polishing his legacy. 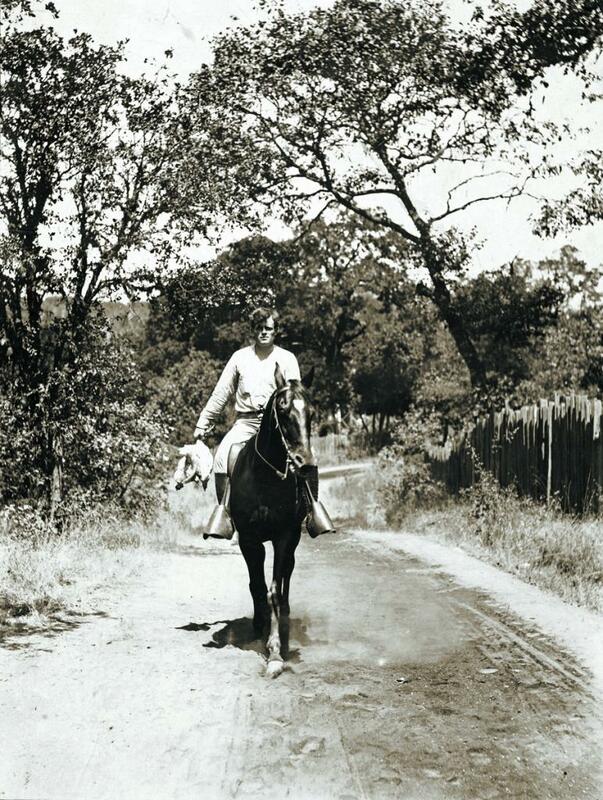 This year marks a century since London’s 1916 death, at the young age of 40, and Charmian London would likely be pleased that so much of his Glen Ellen ranch, his accomplishments and his memory have been maintained. “Mate-Woman,” as London called her, spent decades tending to his copyrights and writings, a prolific output of more than 50 works of fiction and nonfiction, and hundreds of short stories, essays, newspaper and magazine articles, speeches and letters, translated into as many as 70 languages. 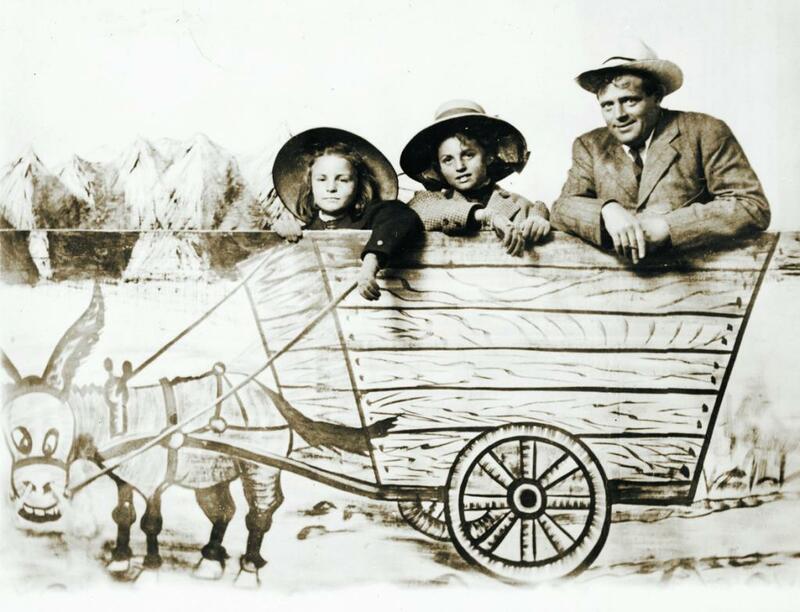 And with London’s stepsister, Eliza Shepard, she struggled, sometimes mightily, through the Depression and World War II to pre- serve the mountainside he venerated and keep his Beauty Ranch going. 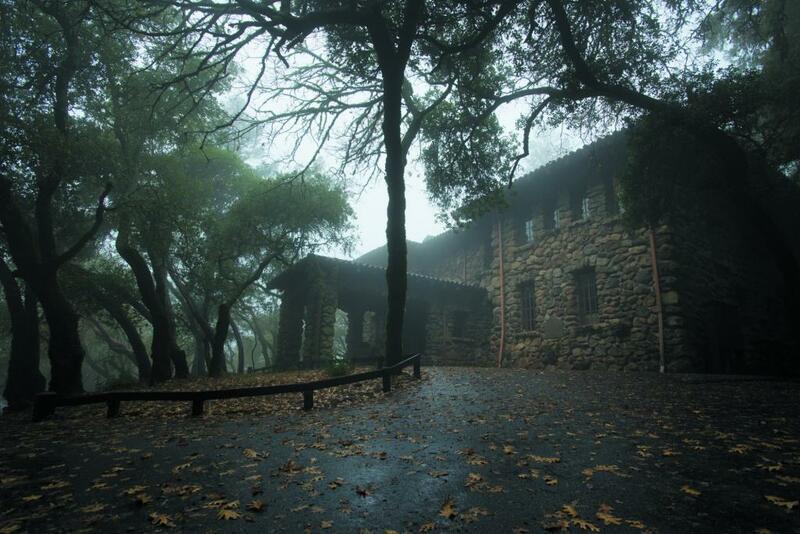 This is a watershed year for Jack London State Historic Park, which occupies a portion of the original Beauty Ranch. The Jack London Park Partners group plans to spend 2016 celebrating London’s enduring legacy. Special events and activities kick off with the Klondike Challenge, encouraging people to pledge to walk 500 miles throughout the year, the distance London hiked from the Yukon to the Klondike in Canada. The kickoff coincides with London’s 140th birthday on Jan. 12. The commemorative year culminates with a memorial at his grave site, on the centennial of his death, Nov. 22. Fittingly, London died on his ranch and is buried there. To honor her husband, Charmian London built a sturdy stone lodge, the House of Happy Walls, a smaller version of the magnificent Wolf House that mysteriously burned to the ground on a hot August night in 1913, two weeks before the couple were to have moved in. Like Wolf House, Happy Walls was designed by eminent Bay Area architect Albert Farr, to eventually serve as a Jack London museum; the first public visitors streamed under the portico in 1960, finally fulfilling Charmian’s wishes; nearly 100,000 people a year now come to Jack London State Historic Park, and he is remembered by readers around the world. As a writer, London’s creative fire was stoked by social revolution. Far more than a manly writer of popular adventure stories such as “The Call of the Wild” (1903) and “White Fang” (1906), he also exposed the plight of the underclass and the working poor. His dystopian “The Iron Heel” described the rise of a tyrannical oligarchy that some observers find relevant today. He dressed in rags and lived among the destitute in the streets of London’s East End to research “The People of the Abyss.” His unfettered range took in everything from astral projection to prize fighting to penal reform. 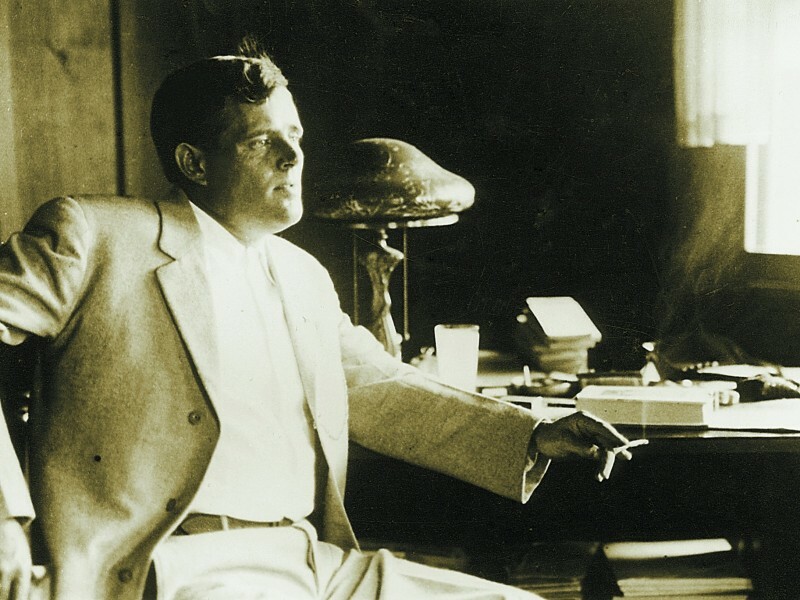 London scholar Earle Labor, an emeritus professor at Centenary College in Louisiana and author of the recently published “Jack London: An American Life,” recalled meeting a young man from the Congo at a seminar. The man confided that his father had been killed in a jungle village, yet the son later learned to read French and discovered “The Call of the Wild,” which has been in continuous print since it was published in 1903. The story of Buck, a tenacious sled dog, inspired the young man’s own survival. On a recent day in the state park, Tony Holroyde, visiting from England, paused on the porch outside London’s restored cottage and reflected that the rugged American writer lit a fire under him when he was a youth. And yet in the last years of his short life, the 1,000 words a day London claimed to produce were largely in service to his 1,400 acres overlooking what he romantically referred to as the Valley of the Moon. The most highly-paid writer of his day, London pumped out the prose to pay for Beauty Ranch, his “biggest dream,” which started out as a refuge from urban grime and became a grand experiment in sustainable agriculture. Ridiculed in his time, he’s now regarded by many as a visionary. Credit for London’s enduring legacy goes to the early efforts of his widow and several generations of heirs, including members of the Shepard family, who inherited the ranch from Charmian and made most of it available to the state for parkland, and the offspring of Jack London’s two daughters, Joan and Becky, many of whom carry on his commitment to social equality and justice in their own ways. But London’s spirit has also been taken up by a multitude of other acolytes and academics who approach him from a kaleidoscope of perspectives. 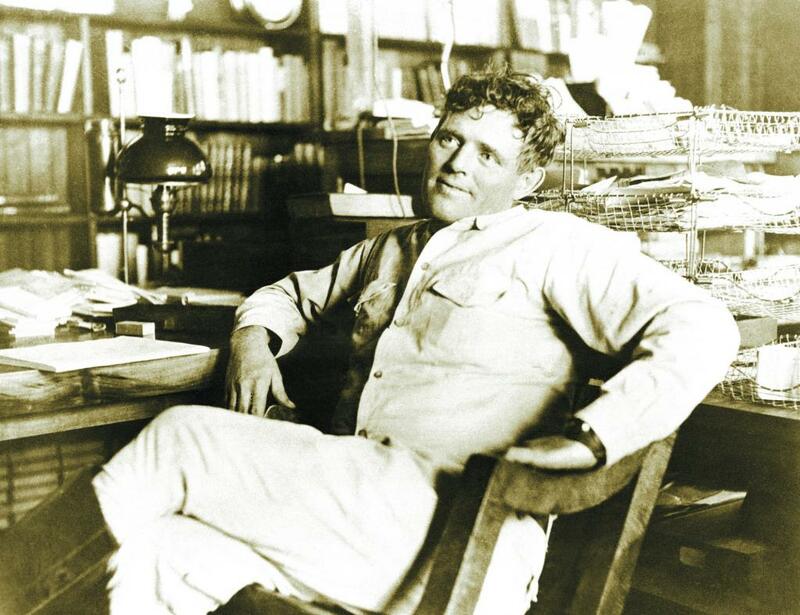 They include literary scholars, historians, agriculturists, preservationists, naturalists, teachers and outdoor enthusiasts who roam the 26 miles of trails that crisscross what is now Jack London State Historic Park. “He wrote books kids used to read and still have to read. That’s how many people get exposed to Jack London, and it’s pretty much all most people know about him. He wrote dog books,” said Chuck Levine, a director of Jack London Park Partners, which has greatly expanded the park’s visibility and use since taking over management three years ago after the state threatened to close it due to budget constraints. Levine is typical of the passionate volunteers who lead nature and historic hikes, give tours, work in the cottage and Happy Walls museum, patrol and maintain the trails, help with special events and man the parking kiosk. At the same time, the partners are launching a $1 million capital campaign to modernize the museum in the House of Happy Walls with more high tech and multimedia presentations; the exhibit has changed little in decades. If London were to return today, he would have no trouble finding his way around Beauty Ranch and the park. Aside from the 160 acres that London’s heirs, the Shepards, held back in a family trust when they turned the remainder of the property over to the state in the late 1970s, it has remained largely the same for over 100 years. Some 700 feet up the slope of Sonoma Mountain, the ranch still has the old fieldstone barns, the elaborate piggery dubbed the Pig Palace by scornful observers, the concrete-block silos that were cutting-edge at the time, the picturesque ruins of the Kohler and Frohling winery destroyed in the 1906 earthquake and now the backdrop for the Transcendence Theater Co., and the mid-19th century cottage where Jack lived with Charmian and wrote in a study outfitted with a Dictaphone, Gramophone and Remington typewriter — high-tech at the time. 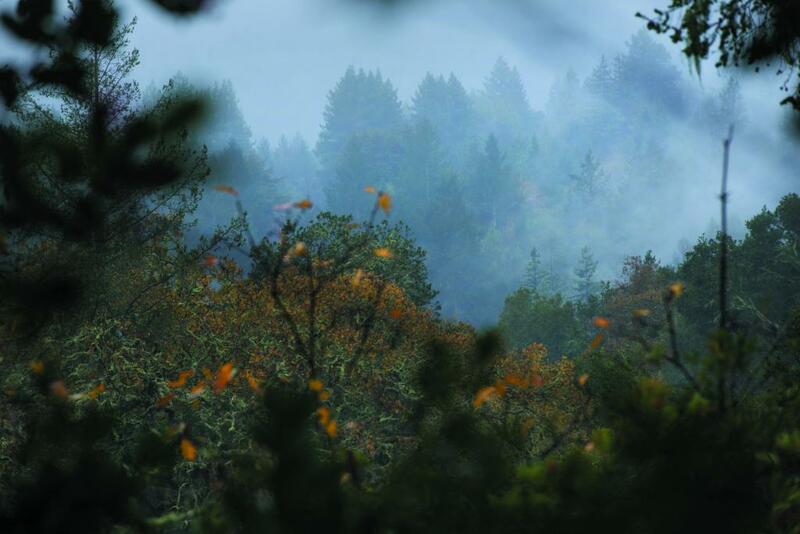 Above the working farm is wild land thick with oaks, broad-leaf maples, manzanitas and madrones, as well as Douglas fir and redwoods — the eldest a sapling at the birth of Christ. The mountain is etched with canyons and creeks, and the year-round Graham Creek (Wild Water Creek in London’s day) is a spawning ground for steelhead trout. 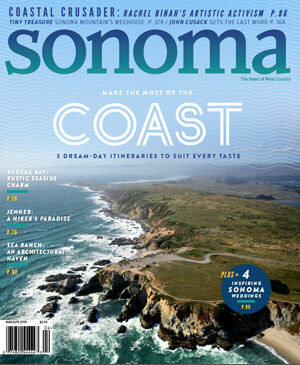 High meadows break out with golden poppies in spring and offer unbroken views of Sonoma Valley and beyond. Bobcats, mountain lions, gray foxes, hawks and falcons scour the mountainside for prey. At the center of any mention of London is his larger-than-life persona that makes him a magnetic character even now. He was a dashing man’s man with a face for the camera, and courted danger in exotic places, from the Klondike to the South Seas. He was, among many things, a prospector, oyster poacher, seaman and hobo riding the rails to Washington, D.C., as an idealistic member of the Industrial Army of the Unemployed in the 1890s. “The greatest story Jack London ever wrote was the story he lived,” said Matt Atkinson, who led tours for years as a ranger at the state park. He is now the fire chief of Glen Ellen, where the name of its favorite son carries on with a hotel, saloon and rustic retail center across from what for years was the World of Jack London Bookstore; it’s now a wine tasting room. London crammed far more living into 40 years, said Atkinson, than most people would or could in 80 years. At the same time, he was a bundle of contradictions. His writing ran from pedantic to brilliant. He was a Socialist who was partially raised by an African American wet nurse, yet many of his most memorable characters are rugged individualists. Threaded through his writings are racist tones that make the modern reader wince. He was the highest-paid writer of his day, the first to earn $1 million, which he spent as fast as he made it. He lived well while serving as a voice of the proletariat, and like John F. Kennedy, projected a charismatic virility, yet privately suffered from health problems exacerbated by a reckless lifestyle of hard-drinking, smoking and a poor diet. It all caught up with him at 40. In his day, London was an international celebrity, as famous as a movie star. His death of reported uremic poisoning brought on by kidney failure — still a subject of speculation and debate along with the burning of Wolf House — rated front-page notice in the New York Times. Among London’s most audacious stunts was to promote his book, “Cruise of the Snark.” He and Charmian set sail on the South Seas with crew members who had never sailed before. It resulted in some memorable writing and boosted his star. But London contracted yaws, a hideous tropical infection, along the way, and scholars believe his self-treatment with a mercury-based ointment led to the kidney problems that contributed to his death. That London was even born is a sort of miracle. The San Francisco Chronicle reported in June 1875 that a pregnant Flora Wellman tried to shoot herself after astrologer William Chaney, with whom she was living, disavowed the baby and tried to force Wellman to have an abortion. She gave birth to Jack six months later. Wellman married Civil War veteran John London when Jack was an infant and gave him her new husband’s name. London was a young man when he discovered that Chaney was his biological father and sought him out, only to be rejected again. The facts of his life provide endless fodder for researchers and enthusiasts, who comb over writings that were often a mixture of truth and fiction. “Martin Eden” and “John Barleycorn,” an anti-alcohol tract exploited by Prohibitionists, were semi-autobiographical. London had periods on the wagon but he never gave up the drink for good. “He’s a very complicated person. He’s got a lot of layers to him. 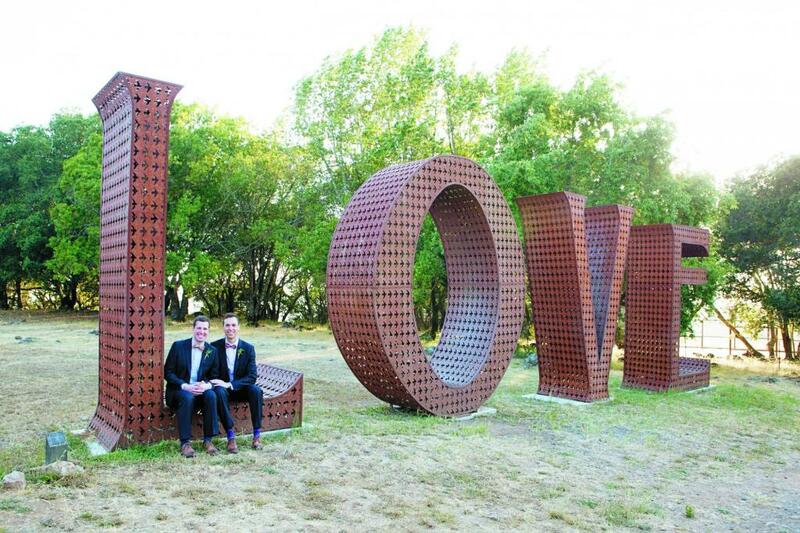 I take him not always at his word,” said Tarnel Abbott, 62, London’s great-granddaughter. A social activist in Richmond, her father, Bohemian longshoreman Bart Abbott, was the only son of Joan London. The eldest of Jack’s two daughters, Joan was a radical in her own right who wrote about the plight of farm workers, fought for labor and aligned herself with Trotsky, activities that brought her under the scrutiny of the FBI. Joan had a complicated relationship with her father, stuck in the middle between two warring parents. Her mother, Bess, embittered that London left her for Charmian, kept her daughters away from Beauty Ranch. But it fell to the offspring of London’s stepsister, Eliza, to steward the land London declared the most beautiful in California. 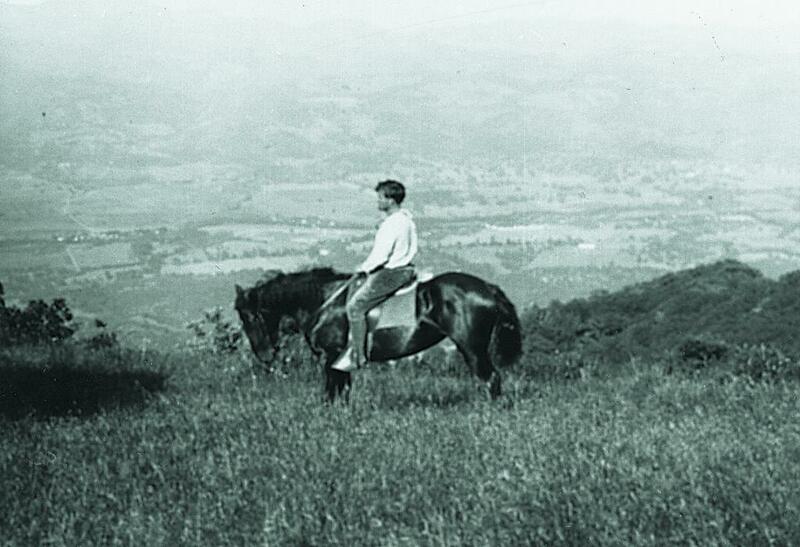 When Charmian died, she left Beauty Ranch to Irving Shepard, Eliza’s only son. 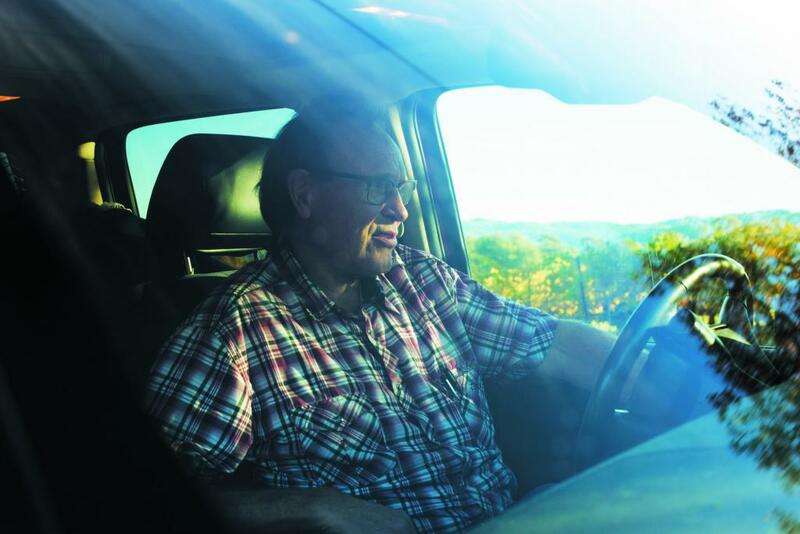 He tried to make a go of it as a guest ranch and dairy farm, but when Irving’s children, Milo, Jill and Joy, inherited the property, it came with a $1 million tax debt. 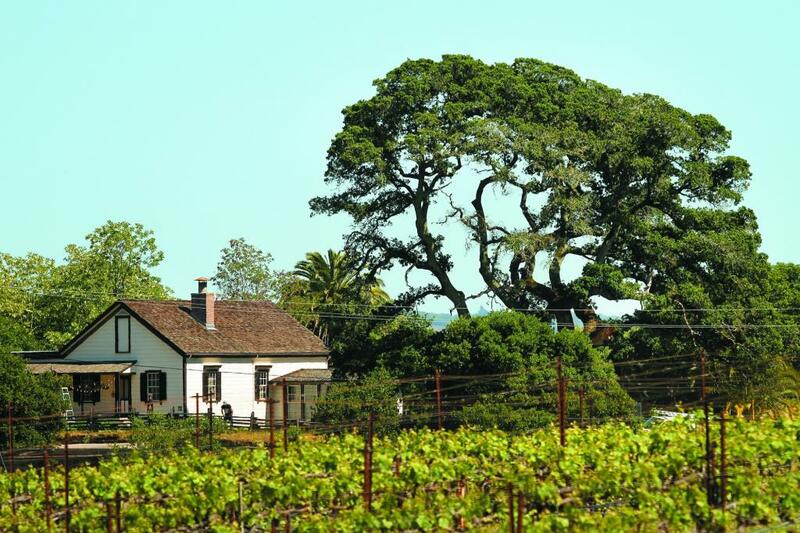 Milo, who died in 2010, adapted by planting wine grapes and selling all but 160 acres of Beauty Ranch to the state in 1979. His son, Brian Shepard, and Shepard’s cousin, Steve Shaffer, oversee the Jack London vineyards for a family trust. 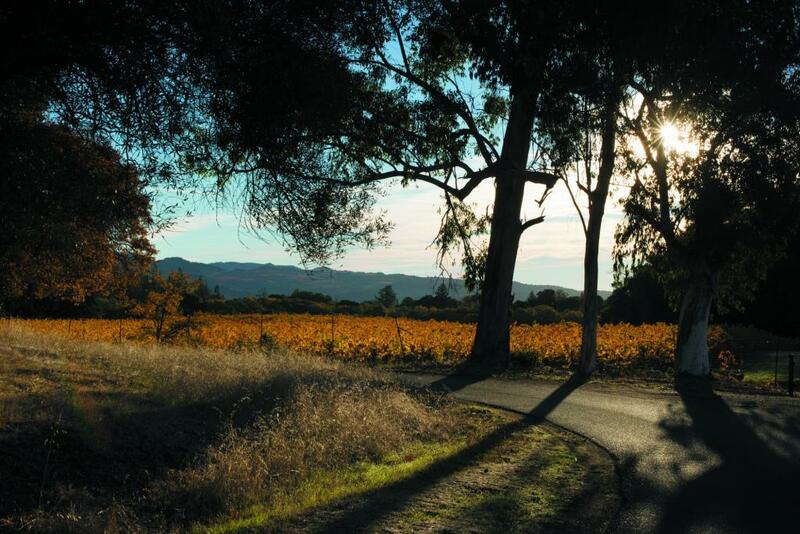 The Cabernet Sauvignon, Merlot, Zinfandel and Syrah grapes have been sold exclusively to Kenwood Vineyards for 40 years. Brian’s brother, Neil, is the owner and driver of the Jack London Ranch Clydesdales and lives on the ranch, as does Shaffer. They are committed to the same ethos of sustainability set by their great-uncle 100 years ago. Inspired by the farming practices he saw in the Far East, where farmers managed to keep land productive for centuries, London became an agricultural innovator. He terraced the land to protect the topsoil from washing down the mountain in rainstorms. He made his own compost, running a cable car from his mare barn to a manure pit outfitted with a concrete floor to keep in the nutrients. He tilled by horse, not tractor. London is experiencing a bit of revival, with a new generation of scholars examining his life and his work, shining a light on a writer who has not always been taken seriously. Readers may overlook London, some say, because they miss the underlying layers of what appear to be simple adventure stories. But that was a good measure of his genius: He was able to write stories that were page-turners and also had complexity for those who read deeper. 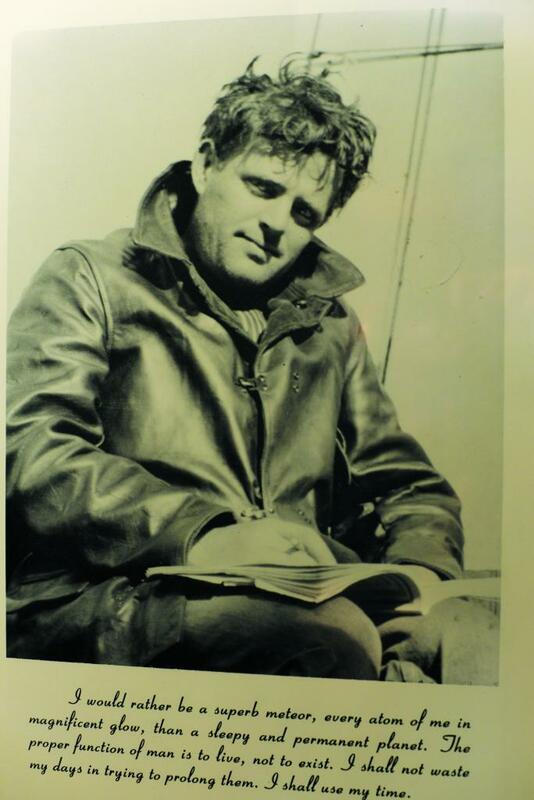 Sonoma Valley educators are trying to engage young readers in Jack London, whose legend is still alive in the Valley of the Moon. But it fell to the offspring of London’s stepsister, Eliza, to steward the land London declared the most beautiful in Sonoma Valley High School and a board member of the Jack London Foundation, which sponsors an annual writing contest that draws submissions from young authors from around the world.